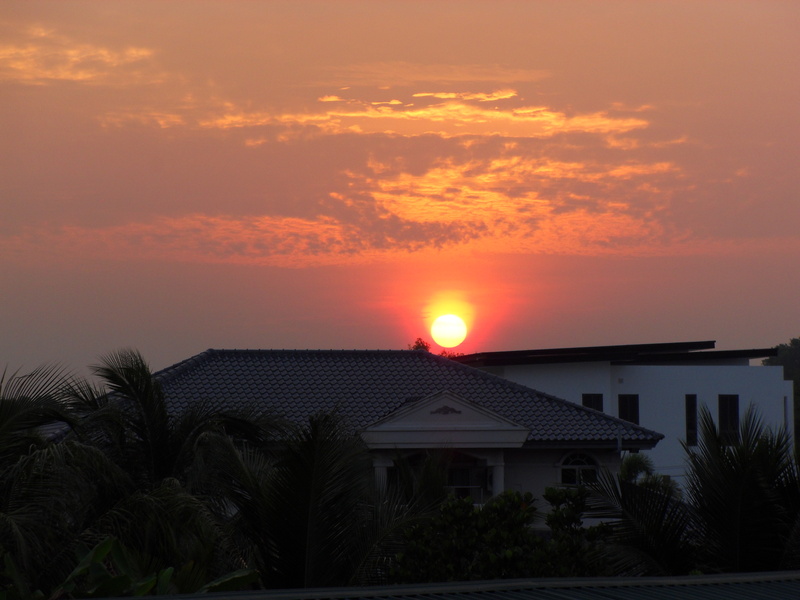 After departing Singapore, our last stop was to Fiona’s hometown of Bandar Seri Begawan (BSB) in Brunei. Now to be honest, I’ve never heard of this country prior to meeting Fiona and for good reason: Brunei is a tiny country nestled within the Sarawak province of Borneo Malaysia and is split into 2 by Malaysia. Brunei is fascinating in that I can’t help but get that “old world” feeling from it because western influence isn’t as apparent here. I was a bit apprehensive at first but there were many great experiences to be had. Lets start with a bit of history. The sultanate of Brunei reached the pinnacle of its power in the 15th and 17th century, where its rule extended to parts of the Philippines and most of Borneo. In the late 19th century, it became a British protectorate and achieved independence in 1984. In 1963, they had the opportunity to become part of Malaysia but opted out. The current royal family dates their rule back over 600 years and rules today as a constitutional sultanate (I’m guessing its similar to our constitutional monarchy). They are among the world’s wealthiest individuals largely due to their country’s abundant natural resources. 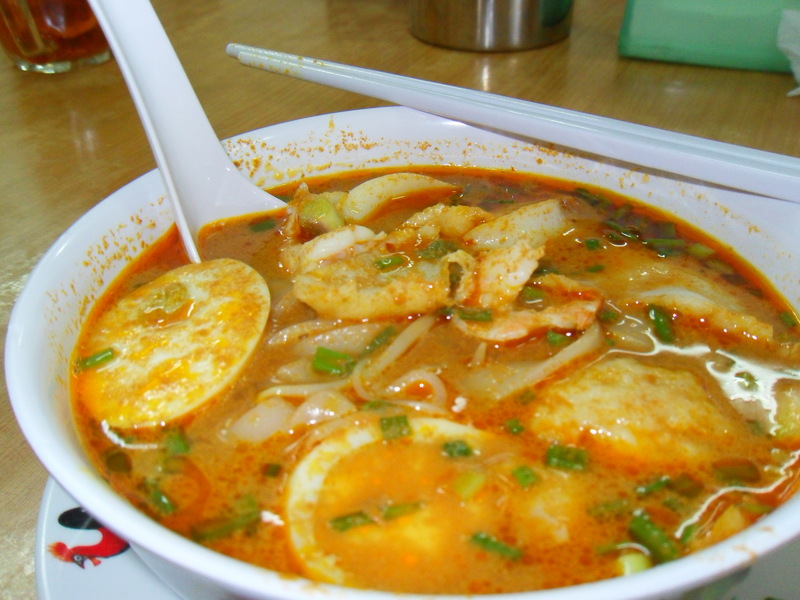 Unrelated to history but mmm…Laksa! First meal after landing. More delicious food. I forgot what this is called. Anyone who knows is free to chime in! Stepping out of the airport we were greeted by Fiona’s parents and very warm weather. It was hotter here than we had experienced in most of Taiwan and Singapore. Our first stop was the hospital since Fiona has been dealing with an ongoing allergic reaction starting in Taiwan. The clinic was clean and I noticed all Malay females there wore hijabs. I learned from Fiona’s parents, who we called auntie and uncle in good ol’ asian fashion, that Brunei was officially an Islamic state, hence the hijabs. They weren’t demure either. Quite the contrary many of the women wore sequined, sparkly and bright coloured hijabs that they would switch often, which I’m guessing is their equivalent to having different hairstyles? Either way it was nothing like our perception of Muslim women in the middle east. Fascinated, I kept asking about what it was like to live here, especially since auntie and uncle decided to move back to Brunei permanently about a year before we left for our trip (they quite literally MOVED here. They packed all their Canadian furniture and appliances, put them in 2 large cargo compartments and had them shipped by cargo boat to Brunei. All their electronics were Canadian!). 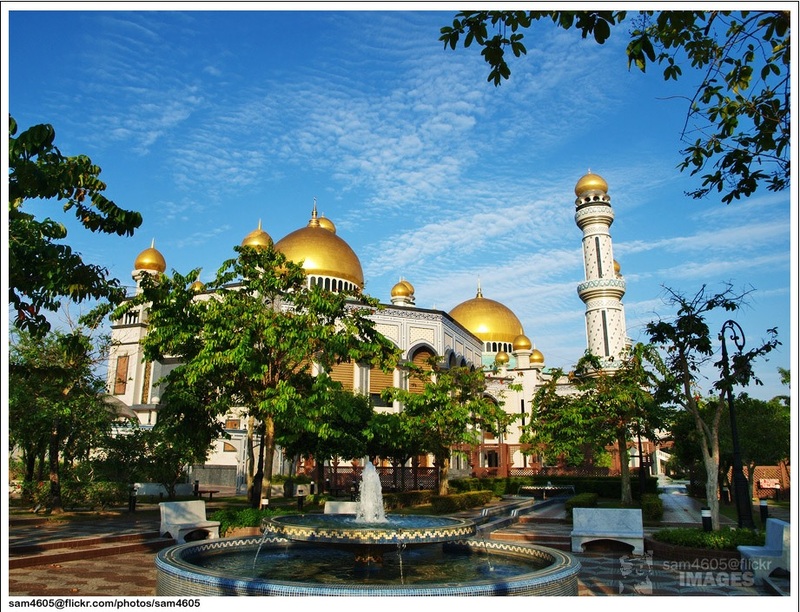 Brunei is a very wealthy country due to its oil and gas resources, which was one of the reasons for opting out of the Malaysia federation. The wealth is given back to Bruneians as social services like free healthcare, social housing (you get a free house!) and generous entrepreneurial incentives. However, citizenship is extremely difficult to obtain. It is passed to women by marriage or down paternally if the child is born in Brunei. Immigrants have been known to keep their PR status for 20+ years and still not receive citizenship. The father of a friend of mine from SFU had his PR for many years and was denied citizenship repeatedly before he eventually immigrated to Canada. I guess when the perks of citizenship are that great, you have to be choosier about who you give it to? Uncle and Auntie took us to a number of markets, both day and night ones. What I really enjoyed here was that there was a real old world feel about it. Nothing here was directed at tourists. 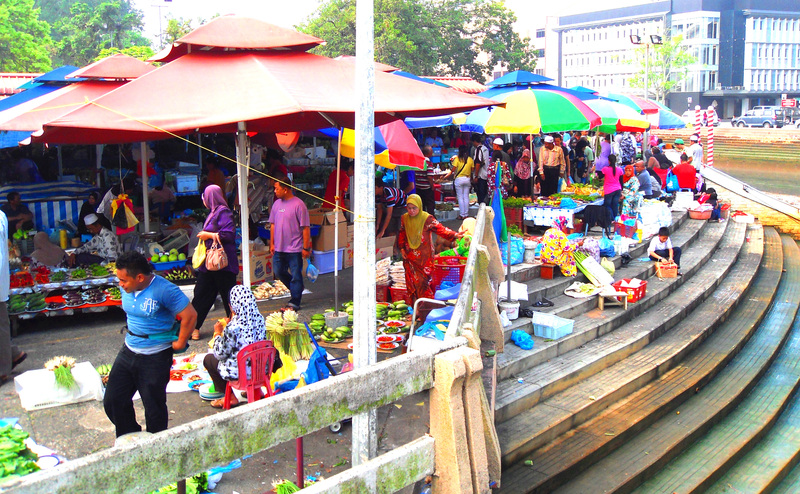 These markets were for locals who were there to buy goods for their own consumption. Prices were very affordable because the country’s wealth allowed for important subsidies on crops such as rice which helped to control inflation. 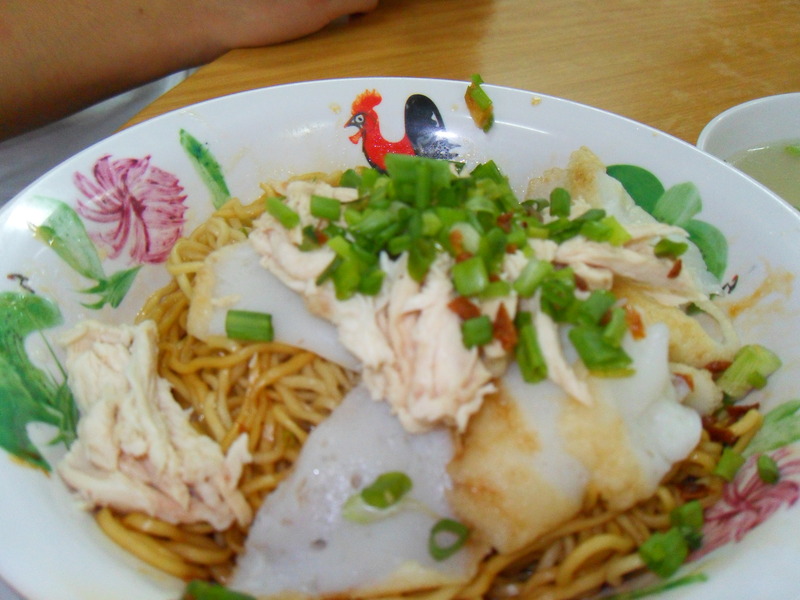 Uncle told us that the price of food has changed little since his emigration many decades ago. These markets sold everything! 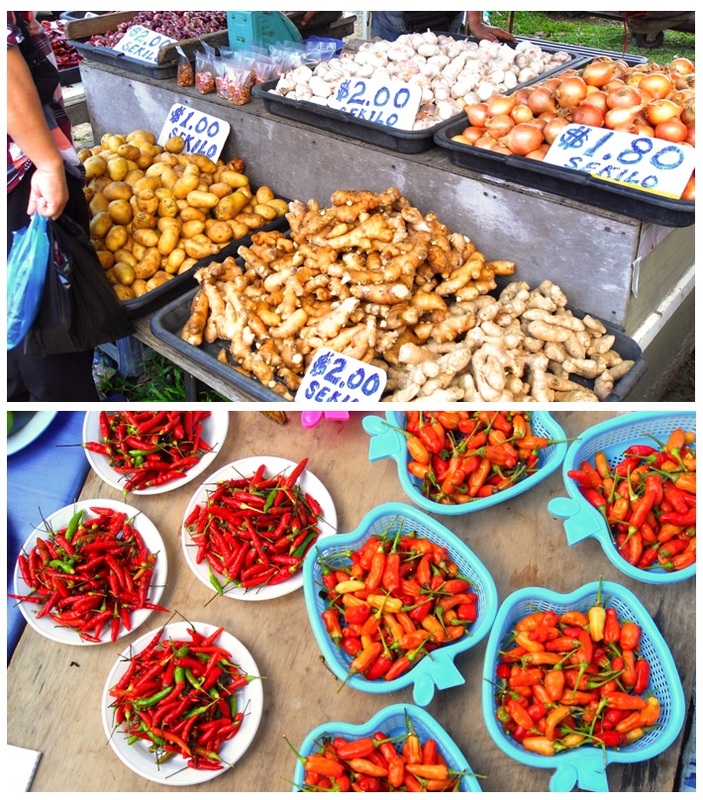 The Kg Kianggeh Open Air Market had every fruit vegetable and meat (other than pork of course) available. 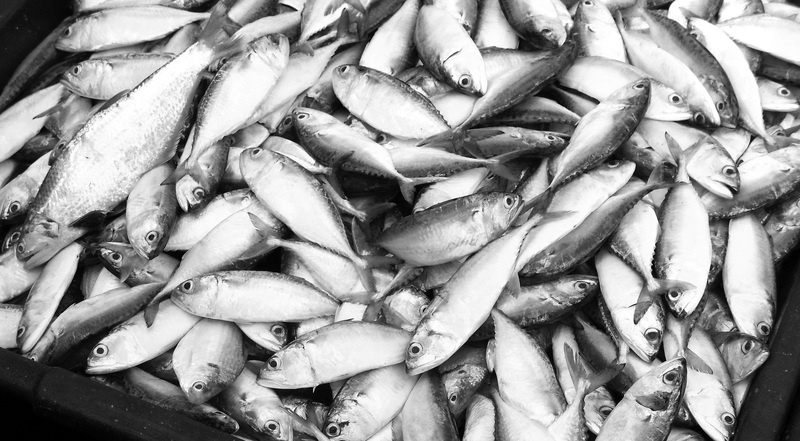 There was every animal imaginable too (I like to think these were for pets and not eating…)! The Gadong Night Market was great for food. Fish and chicken were are on the BBQ, rice and other sides were being steamed and, my personal favourite, satays – sweet, spicy and savoury all at once. 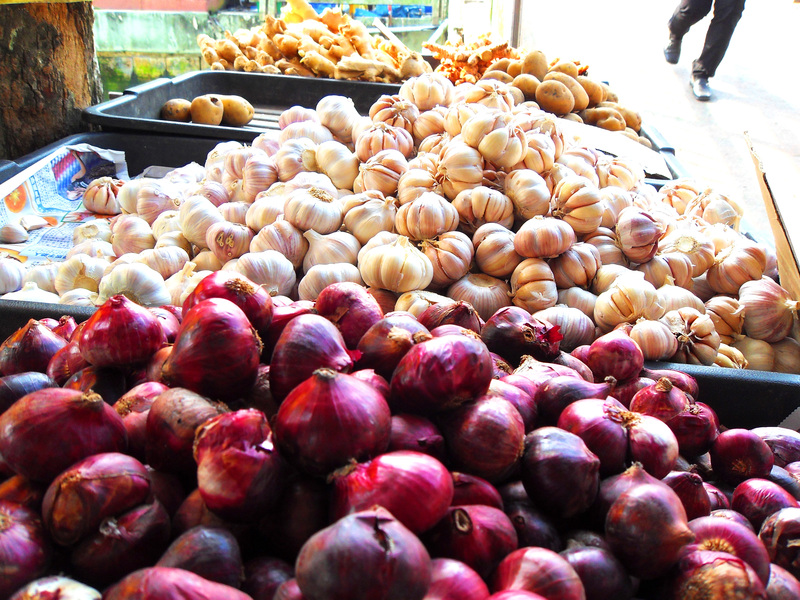 There is also a plethora of fresh produce here. At the time we went a fruit called duku was in season and every fruit stand had tables of it for sale. The fruit meat was white and pale, enclosing a black seed and segmented inside a smooth tan skin. The flavour was kinda like lychee. A generous amount of food for 5 people cost about $30 Brunei dollars at Gadong (legally tied 1:1 with SGD and thus can more or less be used interchangeably). Both markets are worth checking out. Some more produce. I couldn’t get enough of this market! One of the experiences that I will forever remember is our visit to the Jame’ Asri Sultan Hassanal Bolkiah, the mosque close to Fiona’s house. Many times throughout the day we would hear prayers being belted out through the mosque microphones. Uncle brought us to take a look one afternoon. The weather was hot and very humid, but I put on some pants nonetheless so I could enter the mosque. At the entrance, the attendant got us some robes and uncle even convinced the attendant to give us a tour! This was my first time in a mosque and it was nothing short of spectacular. We donned our robes, went up the stairwell and walked across cold, white floors streaked with grey. Large marble columns gilded with gold supported the roofs. The windows on some of the hallways were intricately carved with Arabic motifs – an immense amount of detailed carpentry for each window, door or walkway. We went to the male and female prayer rooms which were covered in red carpet and held an elaborate chandelier at the center of the room. This building was incredible opulent. Finally we visited the library downstairs, which similar to a typical church library, contained shelves of old books and in the front of it all, an ancient looking Koran. I really wanted to take some pictures but unfortunately, photos aren’t allowed within the mosque so…too bad! Jame’ Asri Sultan Hassanal Bolkiah. Far from the modest buildings of protestant churches this mosque is built (at least partly) with beauty in mind. Brunei is a tiny little country tucked away within Borneo. Because it’s tourism industry isn’t nearly as developed as neighbouring Malaysia or Thailand, a visit here gives a great look at life without the hustle and bustle of super touristy activities. In fact, I’m told the Bruneian mantra of life is to take it slow and easy, which you might just need after a bought of crazy partying in Thailand or Singapore! Public transportation is available but since gas is so cheap there (~40c/L for premium!) most people drive. Buses are usually used for the plethora of foreign workers. Lastly but definitely not least, Fiona has hence opened her own restaurant in BSB, offering travel weary Canadians a taste of home. Here, locals get a taste of the good ol’ Canadian goodness that chef Fio grew up with in Canada. If you’re in town be sure to check out Bistro Chez Fio for a taste of home! You might even catch a game and get a chance to cheer for your home team (Go ‘Nucks)! when did u start this blog?! u know crazy thing i guess someone came across it and emailed me asking about the youth hostel u talked about .. saying they knew about me through your blog! Thank you for advertising for me =]!! how are things?? Hey! I started this blog in January i think. I just wanted to chronicle my travels and maybe relive the moments as I write about them. That’s crazy that someone found you through the blog! Its awesome because that means people are actually reading it haha. Things are going well. I’m going to Hawaii in a few weeks with the family then its a big trip this summer all over SE Asia. I’m penny pinching like nuts to save for this trip and others. Hows business going? It looks busy and the food looks tasty!